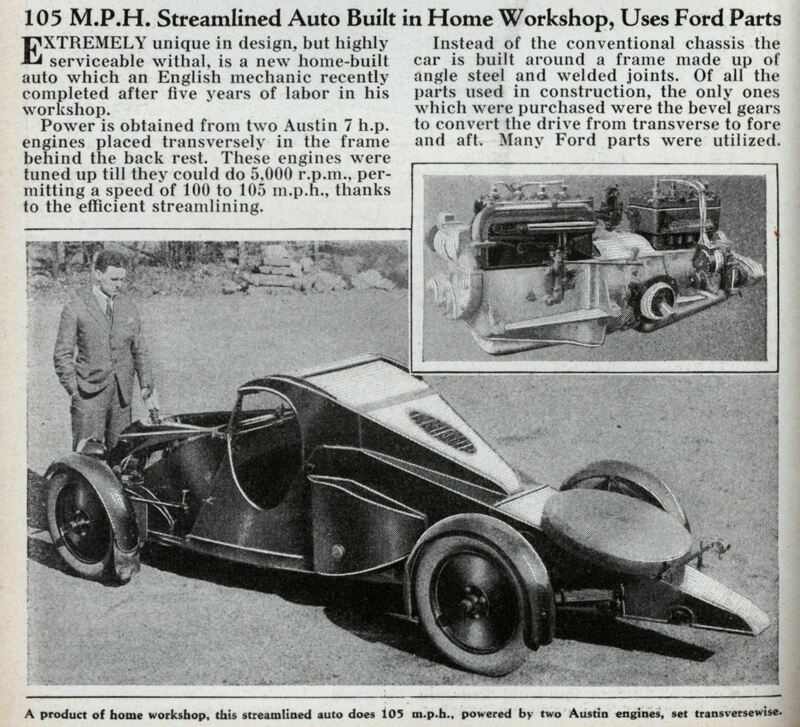 EXTREMELY unique in design, but highly serviceable withal, is a new home-built auto which an English mechanic recently completed after five years of labor in his workshop. 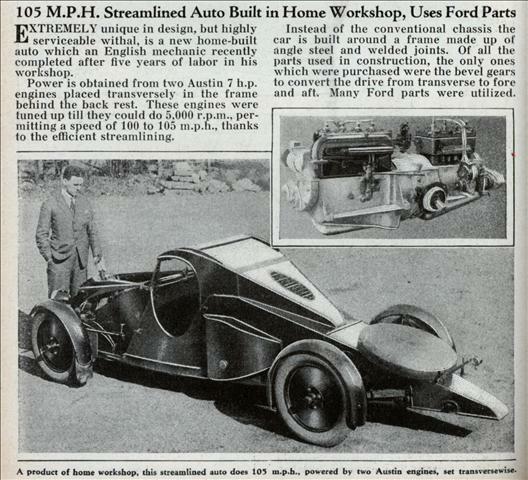 Power is obtained from two Austin 7 h.p. engines placed transversely in the frame behind the back rest. These engines were tuned up till they could do 5,000 r.p.m., permitting a speed of 100 to 105 m.p.h., thanks to the efficient streamlining. Instead of the conventional chassis the car is built around a frame made up of angle steel and welded joints. 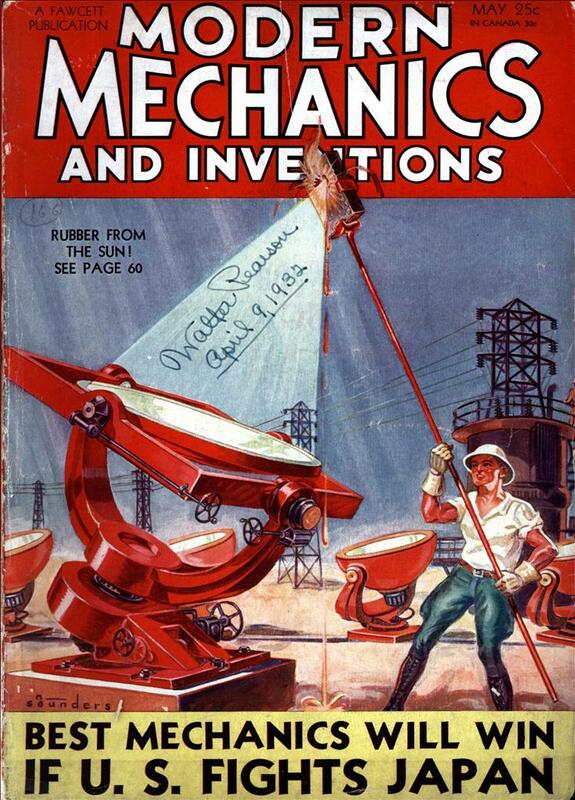 Of all the parts used in construction, the only ones which were purchased were the bevel gears to convert the drive from transverse to fore and aft. Many Ford parts were utilized.